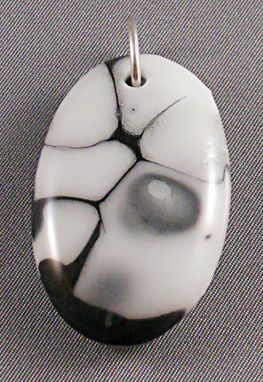 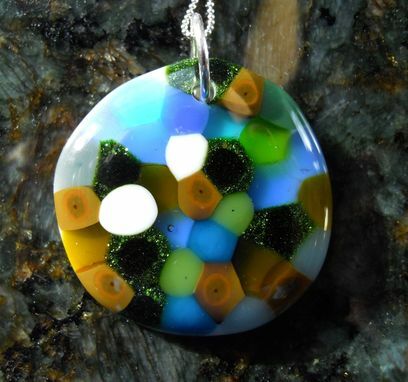 Glass is fused into colorful designs to make unique handmade pendants. 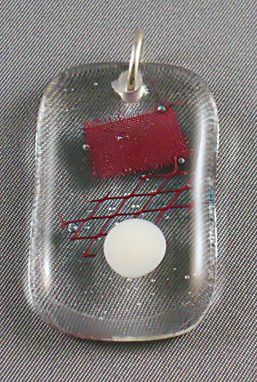 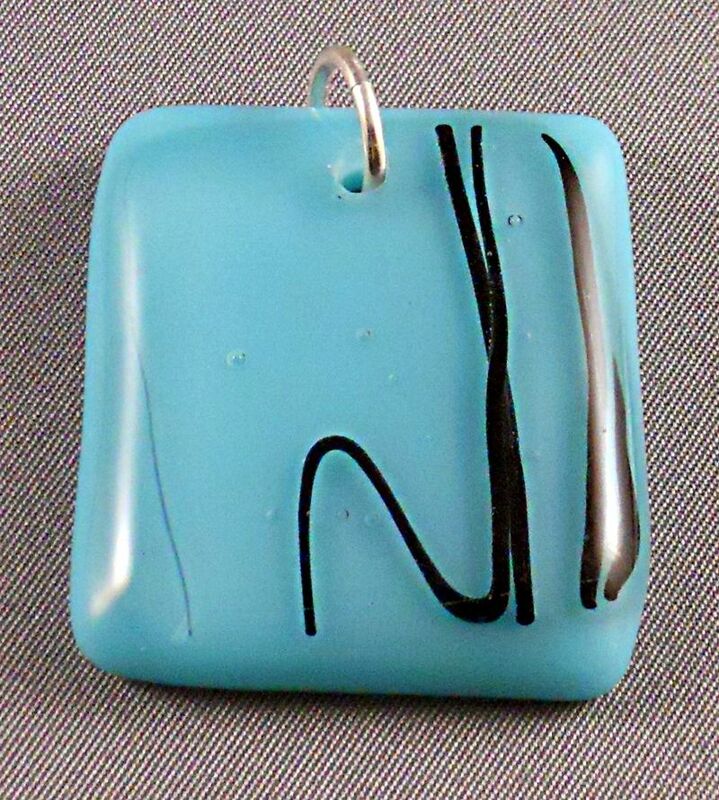 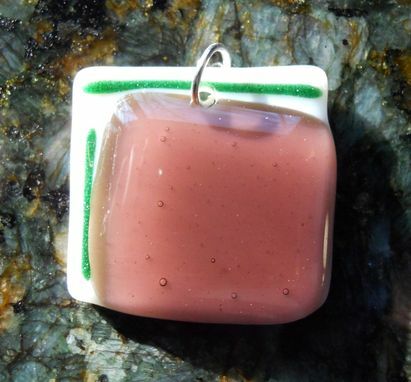 The glass pendants have sterling silver jump rings to attach to chain, cord, or ribbon. 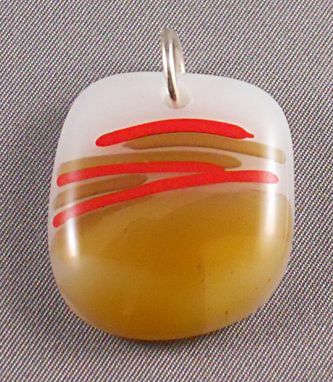 The size of the pendants range from 1/2" to 2" or more in width. 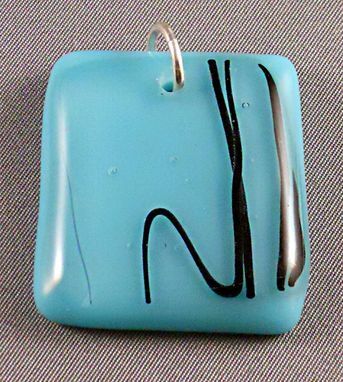 Custom choices include color, shape, and overall design, with or without chain, cord, or ribbon.